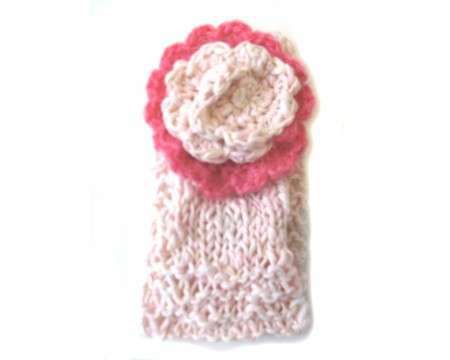 The light weight pink cotton headband is wide enough to cover the ears but suitable for spring or fall. The band is made from an imported 100% cotton yarn that's uneven with specks of pastel colors in it. The flower is made of acrylic and cotton. The measurements are 15-17" (stretchy) and 3" wide. The flower is 3.5" wide. The headband fits a child around 1-2 years old.